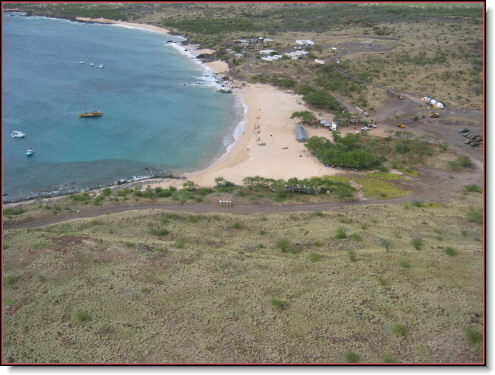 On October 21, 2004, I was invited by the Kaho'olawe Island Reserve Commission and the Protect Kaho'olawe Ohana to return to the island for a ceremony honoring the "Old Warriors of Kaho'olawe." 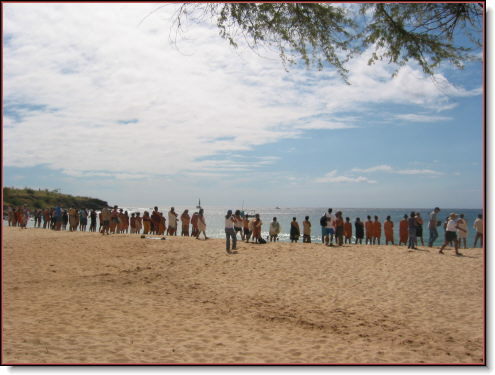 Hanakanai'a (The Bay of Dolphins) was where 280 plus people gathered, and for me, I had not seen some of them for the last 28 years. 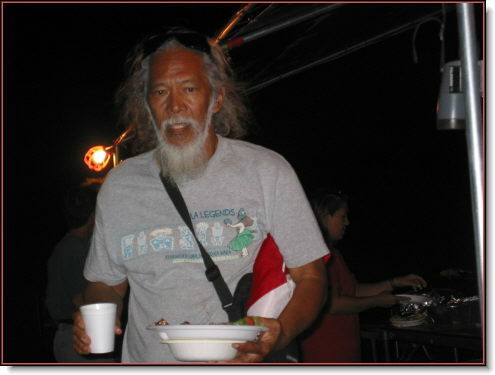 I landed on Kaho'olawe for the first time in July of 1975 with fishermen friends, Herbert Santos, Albert DeRego, Paul Fujishiro and "Bear Nacua," who went to the island specifically to hunt goats and fish. I was amazed at the beauty of the island and could not figure out why the U.S. Navy was bombing the island. 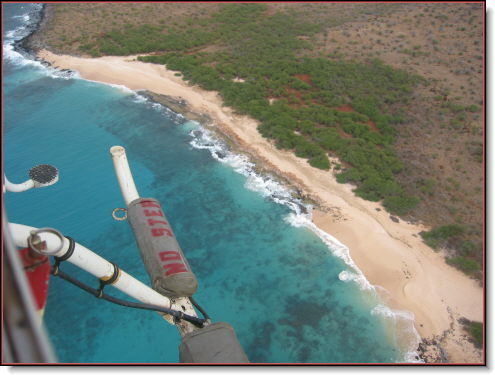 We landed at "Pedro Bay," its real name being Kuheia Bay. 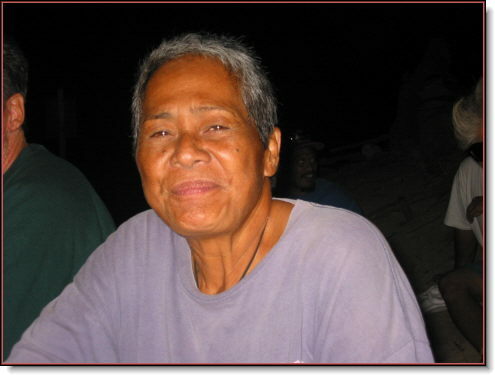 Prior to going into the Bay, Herbert Santos had to tie Clorox bottles on the un-exploded bombs that were protruding from the reef. We then landed in the Bay and started hunting. 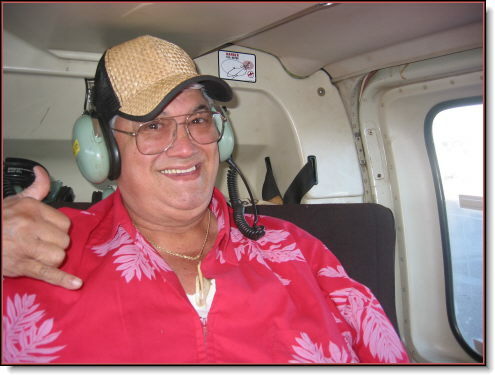 While hunting a slight ways up from the bay, a Navy Helicopter could be seen and Herbert screamed for us to hide. 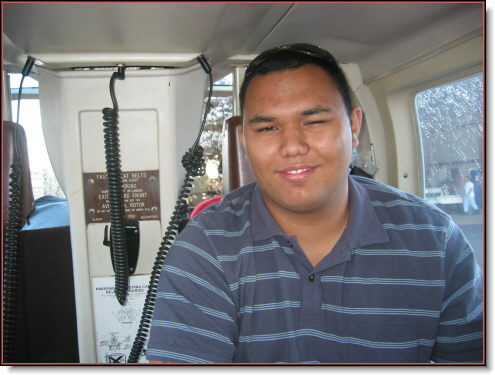 I immediately took off my shirt and waved it to the Helicopter because I felt that I am Hawaiian so why should I hide. 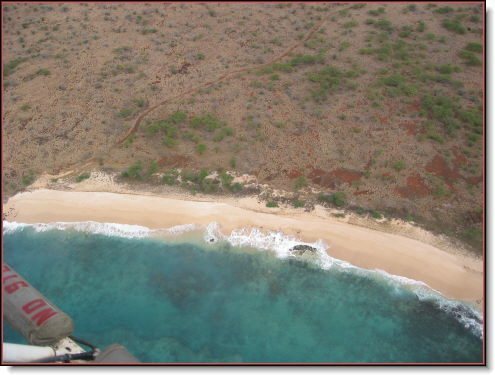 The Helicopter stopped turned around and waved to me and continued their flight to the base came at Hanakanai'a. That evening when everyone came back from hunting, I told them that someday I will claim this island for the Hawaiian people. They made fun of me and said not to ruin their hunting ground. 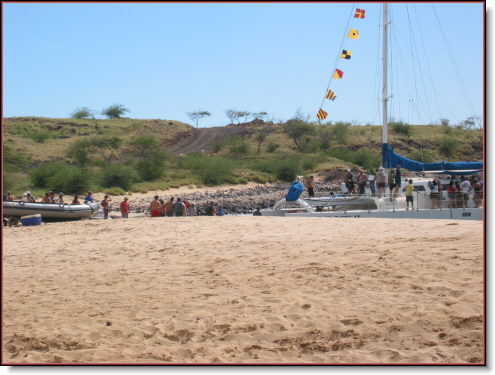 Exactly 6 months later, I led the first occupation of Kaho'olawe on January 4th, 1976, the 200th birthday of America. The rest is history. 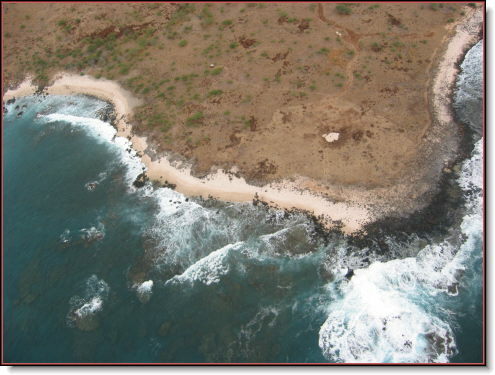 28 years later, the island was turned over to the State Of Hawaii in November of 2003. 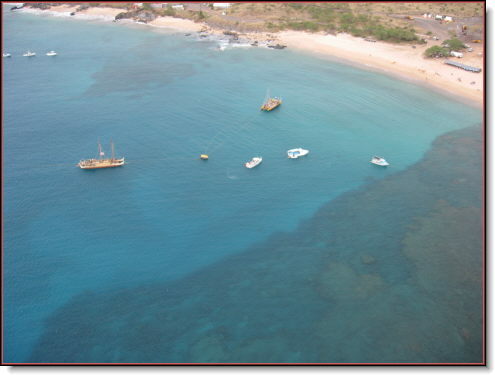 The island of Kaho'olawe, Kohemalamalama `o Kanaloa, is to be managed as a Hawaiian cultural reserve for eventual transfer to a sovereign Hawaiian nation. As envisioned in the motto "Kukulu ke ea a Kanaloa," the island will expand as a learning center where traditional Hawaiian cultural customs, beliefs, and practices can be freely practiced and can flourish for future generations. 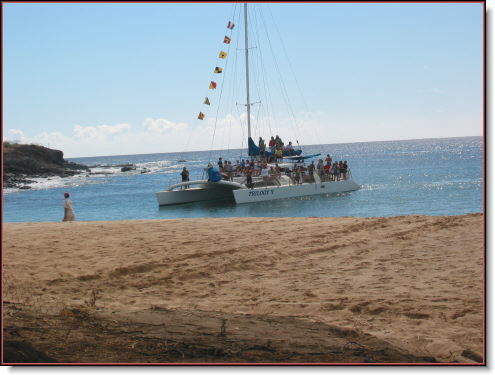 To see the beautiful sand beach at Hanakanai'a, with the 3 Hawaiian Sailing Canoes anchored in the Bay, with no homes, no condos and the people of Hawaii swimming, fishing and lying on the sand was indeed a dream come true and as a Kupuna, makes me realize that we can make a difference if we all put our hearts and minds as one, for the cause of saving this beautiful island of Kaho'olawe, also known as Kanaloa. Mahalo a nui loa to K.I.R.C and P.K.O, to George Helm and Kimo Mitchell who gave their lives and all the other hundreds of warriors who risked their lives to save this island and commemorated this very historic event. 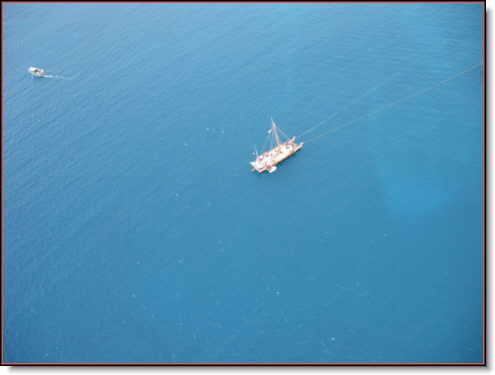 will be the point of departure and arrival of all future sailing canoes. Soli Neheu -One of "Kaho'olawe's Warriors"
Welcoming with chants and the blowing of Pu the three voyaging canoes coming into to Hanakanai'a.